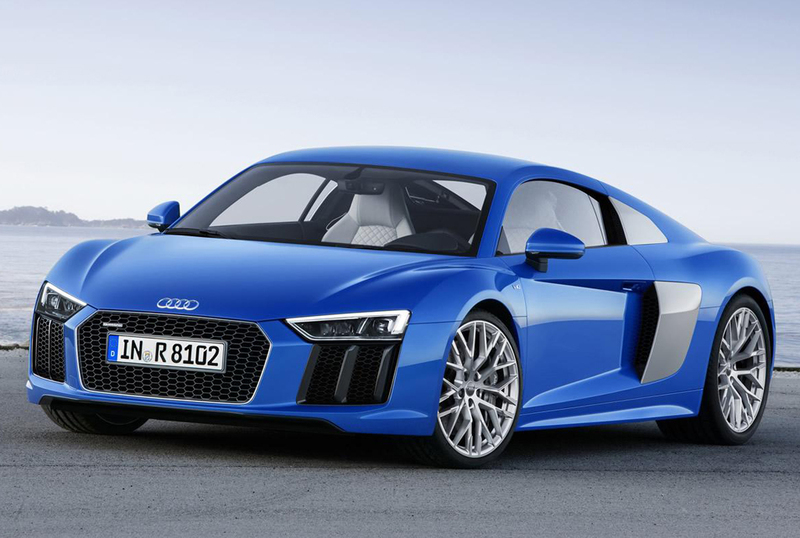 The second generation of Audi R8 is out and would be exhibited at 2015 Geneva Motor Show in March. 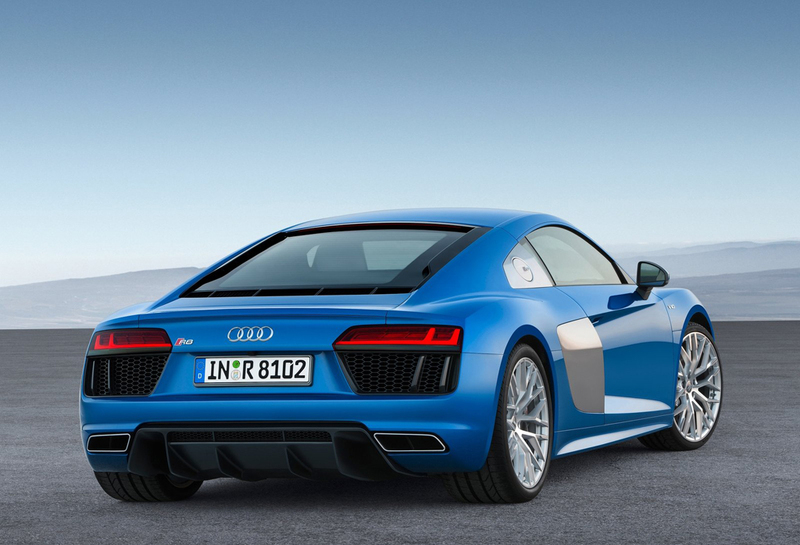 The R8 V10 will reach the showrooms this summer. 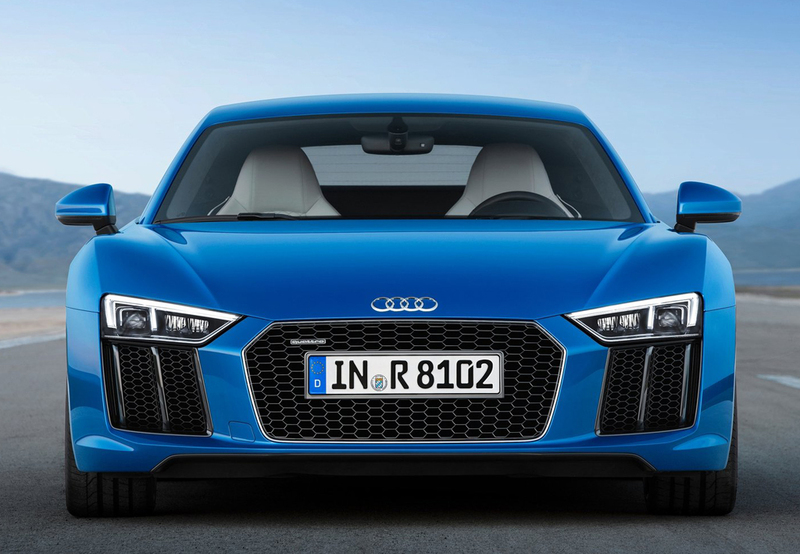 The pricing is 165,000 euros and 187,400 euros for R8 V10 and R8 V10 plus (top-of-the-range model) respectively. 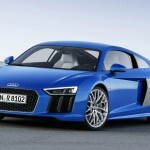 The car comes with the quattro drive system newly developed by the company. 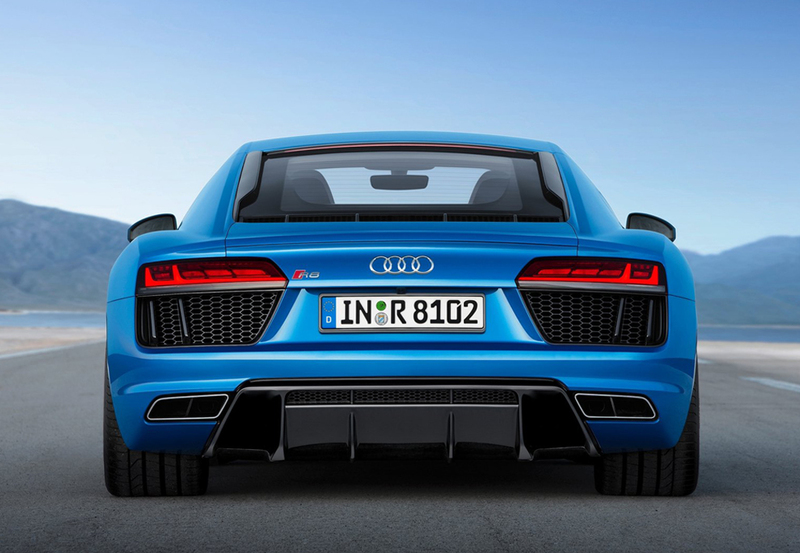 The R8 V10 is armed with the 5.2 FSI engine that is naturally aspirated. It is offered in two versions. One version generates 540 HP, while the other one gives 610 HP. The range topping model can sprint from 0 to 100 km/hr in just 3.2 seconds. 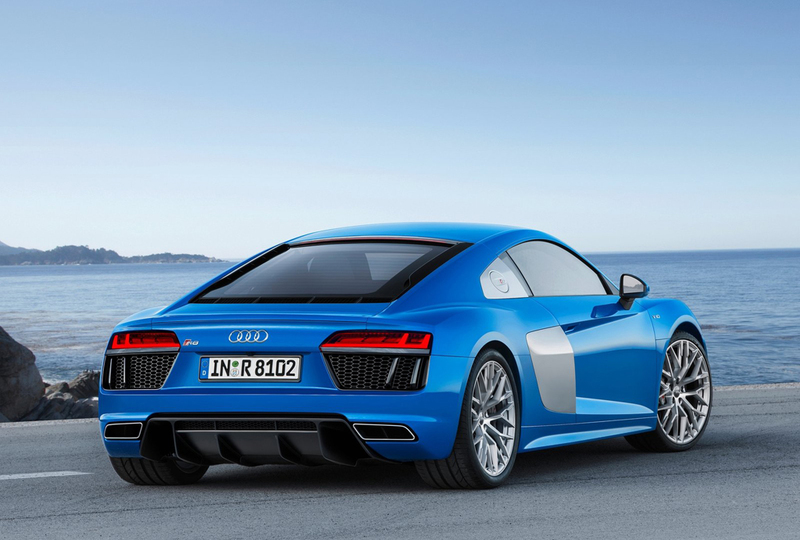 The topmost attainable speed is 330 km/hr and the maximum torque is generated at 6,500 rpm. 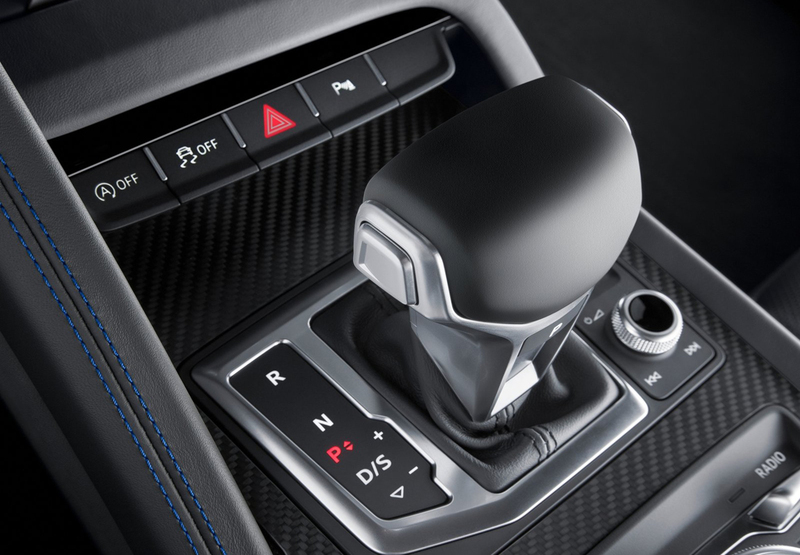 The engine is accompanied by 7-speed S tronic transmission. The torque is distributed in accordance with conditions. For drivers wanting to have a more thrilling experience, the dynamic technology can make possible the transmission of 100% torque to front or rear axles. 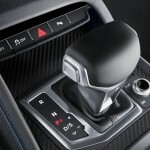 Yet another innovation on this brand new Audi model is additional indirect injection. This technology has brought down the fuel consumption and increased the output too. 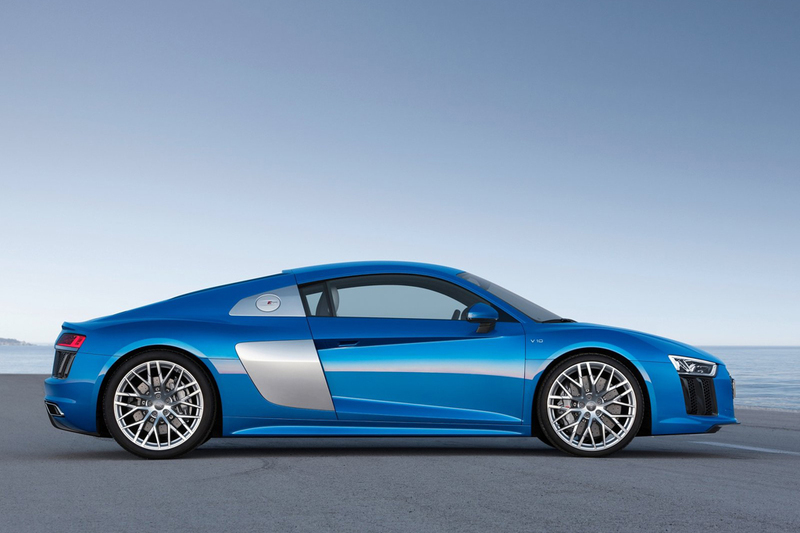 If this is not enough, the R8 is equipped with yet another cool technology called cylinder on demand (COD). This system shuts one out of the two available cylinder banks. This is done by the deactivation of the ignition and injection. The car consumes 11.8 liters for every 100 km, giving a fuel economy of 19.9 mpg (US). 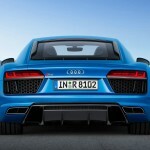 The CO2 emissions are 275 gm/km for the R8. 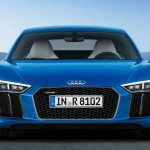 In case of R8 plus, 12.4 liters is consumed per 100 km, giving a fuel economy of 19.0 mpg. While the CO2 emissions are 259 gm/km. When these figures are compared with the previous model, this is a reduction of 10%. Such reduction can be attributed to the newly present start-stop system. The weight too has been taken care of- the car hits the scales at 1,454 kg, which is a full 50 kg less when compared to its predecessor. Such low weight has been achieved despite of some extra equipment on the car. The Audi Space Frame is multimaterial and this is the key to the low weight. Besides minimizing the weight, it has optimized axle load distribution too. 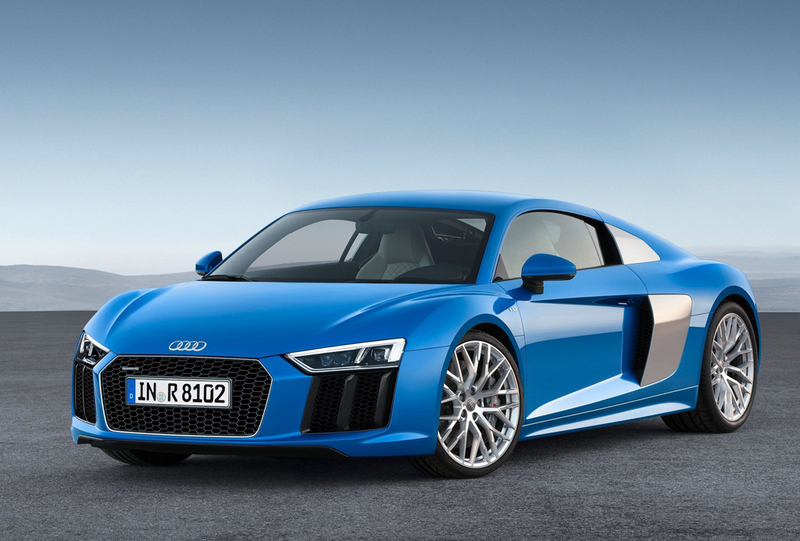 CFRP, that is carbon fiber reinforced plastics, and aluminum have been employed in Audi Space Frame. This ensures rigidity too, besides keeping the kilos at bay. In the aerodynamic underbody, the car makers have incorporated a diffuser that is long. This serves the purpose of increasing the downforce. The chassis features double wishbone suspension. The exterior sports LED headlights that come as standard. The company is offering laser spot for high beam, available as an option. This provides greater brightness and extends the field of vision. The LED headlights are accompanied by dynamic turn signals. For the rear, these turn signals will be standard. The 19 inch wheels are present as standard on the model. These are accompanied by front tires measuring 245/35 and rear tires measuring 295/35. Upon the customer’s request, the car can also be had with 20 inch wheels – which are being offered on R8 for the first time. Customers who opt for the 20 inch, will have front tires 245/30 and rear tires 305/30. Steel brake discs come with a wave design that cuts down on the weight. 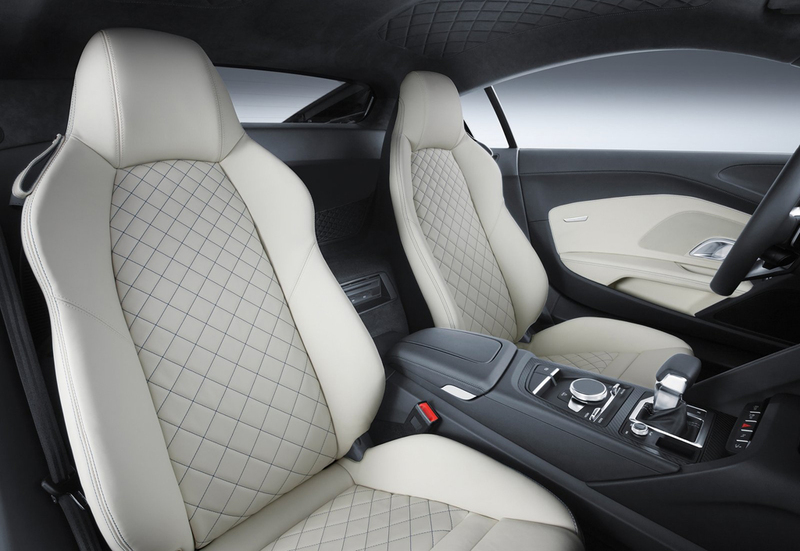 The range topping version has high-tech disks crafted from carbon fiber ceramic. Entering the cockpit, one can see neatly assembled controls and digital displays. The most important ones are present together on the steering wheel. MMI navigation plus and MMI touch are being offered as standard on the model.